Draft: 2011, Colorado Rockies, CAth rd. Trevor John Story and his wife Mallie reside in the Dallas area during the offseason ... Son of Ken and Teddie … has an older brother, Tyler ... Enjoys playing golf in his free time ... Played baseball as a kid with Josh Bell (Pirates) and played against current teammate Pat Valaika ... Graduated from Irving High School in Irving, Texas ... Committed to Louisiana State University before being drafted in 2011. Became the first shortstop in MLB history to record at least 40 doubles, 30 home runs and 25 stolen bases, en route to winning his first career Silver Slugger Award ... Homered in his first career All-Star appearance, the third player in franchise history with an All-Star Game home run (also: Matt Holliday, 2008 and Todd Helton, 2003) ... Won his first career Silver Slugger Award, joining Troy Tulowitzki as the only Rockies shortstops to win the award ... Ranked among National League leaders in extra-base hits (85, 1st), home runs (37, 2nd), slugging percentage (.567, 2nd), doubles (42, T4), RBI (108, T4), stolen bases (27, 6th), multi-hit games (51, T7) and hits (174, 10th) ... Became the 16th player (19th time) and first shortstop to record at least 40 doubles, 30 home runs and 25 stolen bases … joined Larry Walker (1997) and Ellis Burks (1996) as the only Rockies to accomplish the feat ... Joined Ernie Banks (1957-68, 1960) and Honus Wagner (1903-04, 1907-09) as the only shortstops to lead the National League in extra-base hits … his 85 extra-base hits were the second-most by a shortstop in NL history behind Jimmy Rollins' 88 extra-base hits in 2007 ... His 37 home runs were the most by a shortstop in franchise history … one of three NL shortstops (min. 100 starts) to hit at least 37 home runs in a season, joining Ernie Banks (1955, 1957-1960) and Rich Aurilia (2001) ... His 108 RBI were the most by an NL shortstop since Ernie Banks recorded 117 RBI in 1960 ... 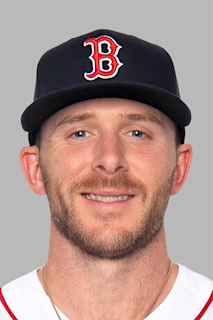 Appeared in 157 games with 156 starts at shortstop … missed his first game on July 6, snapping a streak of 139 consecutive starts at shortstop since Aug. 6, 2017 ... Recorded his first career three-home run game Sept. 5 vs. San Francisco, the 17th three-homer game in Rockies history (last: Nolan Arenado, July 19, 2017 vs. San Diego) … his second home run Sept. 5 was measured at 505 feet by Statcast, the longest home run ever measured by Statcast since its inception in 2015 ... Hit five home runs in three games vs. San Francisco Sept. 3-5, tied for the most in a three-game series in franchise history (also: Charlie Blackmon vs. Philadelphia, Aug. 12-14, 2016) ... Recorded a career-high 13-game hitting streak from July 3-22 … had a 12-game hitting streak from Aug. 3-15 ... Hit his first career walk-off home run July 15 vs. Seattle, the last game before the All Star break ... Named the National League Player of the Week July 9-15, the third Player of the Week honor of his career … hit .400 with three home runs and three doubles during the week ... Started all four postseason games at shortstop and recorded a team-high five hits (5-for-18, .278), with one run scored and two doubles. Led all National League shortstops with 81 RBI … second among NL shortstops with 23 home runs ... His 11 defensive runs saved ranked second-most in MLB among shortstops, behind Andrelton Simmons … ranked sixth among NL position players with 1.8 defensive WAR … among NL shortstops ranked third in total chances (610), second in assists (408), second in double plays (101) and second in fielding percentage (.982) ... Batted .224 (57-for-255) with 11 doubles, 11 home runs and 35 RBI in 75 games in the first half … in 70 games after the All-Star break, batted .254 (63-for-271) with 21 doubles, 13 home runs and 47 RBI ... Led the National League with 191 strikeouts, the most in franchise history ... Recorded at least one hit in 20 of his last 23 starts of the season starting on Sept. 5, batting .293 (27-for-92) over that span with eight doubles, two triples, six home runs and 19 RBI ... Career-long 10-game hitting streak from Sept. 9-19 ... Recorded a career-high six RBI on Aug. 16 vs. Atlanta, along with his only multi-home run game of the season ... First career grand slam on April 21 vs. San Francisco … first career pinch-hit home run on June 16 vs. San Francisco ... Made his first career postseason appearance in the NL Wild Card Game at Arizona and went 2-for-4 with two runs scored and a solo home run. Led all Major League rookies with 27 home runs and tied with 72 RBI in his rookie season, despite having his season cut short by a torn ligament in his left thumb...His 27 home runs were the most for a rookie shortstop in NL history and the second-most by any Rockies rookie in franchise history, behind Wilin Rosario's 28 home runs in 2012...His 27 home runs led the National League prior to his injury … ranked fifth in the NL with 72 RBI...Prior to his injury, led all MLB rookies in home runs, RBI, extra-base hits (52) and slugging percentage (.567) and tied for first in walks (35) … ranked second in runs (67), total bases (211) and WAR (4.7), third in doubles (21) and fourth in hits (101)...Named the NL Rookie of the Month for April after hitting 10 home runs and recording 20 RBI … the 10 home runs in April were tied for the most in MLB history for a rookie (Jose Abreu, 2014) and were the most in NL history by a rookie...Won National League Player of the Week honors for the first week of the season (April 4-10) … joined Fernando Valenzuela of the Los Angeles Dodgers as the only National League rookies to be named the Player of the Week for the first week of the season since the award's inception in 1974...Was once again named the NL Player of the Week, for the week of July 18-24, after batting .478 (11-for-23) with 10 runs, one double, six home runs, 12 RBI, four walks and two stolen bases...Hit 10 home runs and collected 20 RBI in April … had eight home runs and 22 RBI in July … hit .284 (25-for- 88) in June … batted .288 (23-for-80) in July...Batted .357 (25-for-70) with seven home runs and 18 RBI against NL East opponents over 21 games...Had six homers and 18 RBI vs. Arizona … four homers and nine RBI vs. Arizona...Hit a home run in four straight games to begin the season, tied for the longest streak in Major League history (Chris Davis, 2013; Nelson Cruz, 2011; Mark McGwire, 1998; Willie Mays, 1971) … is the only Major League player in history to hit home runs in his first four career games...Recorded two home runs off Zack Greinke in his Opening Day debut, the first player in Major League history to hit two home runs in a Major League debut on Opening Day...Batted .333 (9-for-27) with seven runs, seven home runs and 12 RBI, hitting safely in his first six big league games...Hit .338 (23-for-68) with 20 runs, three doubles, eight home runs and 20 RBI from July 7-30, including a season-high four hits on July 23. Split the season between Double-A New Britain and Triple-A Albuquerque, where he made his Triple-A debut and played 61 games for the Isotopes ... was added to the Rockies 40-man roster Nov. 20. Began the year with New Britain and batted .281 (72-for-256) with 46 runs, 20 doubles, six triples, 10 home runs, 40 RBIs, 35 walks and 73 strikeouts in 69 games. Hit .361 (26-for-72) with four doubles, two triples and four homers in April … drove in 20 runs. Was promoted to Triple-A Albuquerque June 30 and made his Triple-A debut July 1 … played 61 games with Albuquerque, where he hit .277 (71-for-256) in 61 games … hit eight homers in July. Was a Baseball America Double-A All-Star and Futures Game selection for the first time. Was invited to his first Major League Spring Training. Played in 108 games across three levels and batted .263 (104-for-396) with 69 runs, 26 doubles, eight triples, 14 home runs and 48 RBI ... Began the year with High-A Modesto, where he played 50 games … hit .332 (61-for-184) with 38 runs, 17 doubles, seven triples, five home runs and 28 RBI ... Promoted to Double-A Tulsa June 27 and finished the season there … played in 56 games with 43 starts at shortstop … hit .200 (41-for-205) with 29 runs, eight doubles, one triple, nine home runs and 20 RBI. Played the entire season with High-A Modesto as their primary shortstop ... Played in 125 games at short with 123 starts … also played four games at third base ... Was named the ninth-best Rockies prospect by Baseball America and also received "Best Defensive Infielder" and "Best Infield Arm" recognition. Started 84 games as the primary shortstop for Low-A Asheville ... Led the Colorado system in doubles (43) and runs scored (96), and finished fifth in the South Atlantic League with 18 home runs ... Named a South Atlantic League Post-Season All-Star and MiLB.com Organization All-Star ... Baseball America ranked him as the third-best Rockies prospect. Made his professional debut with Rookie Level Casper ... Was named the Pioneer League Player of the Week for the week of Aug. 15-22, after batting .320 (8-for-25) with eight runs, eight hits, 12 walks, three home runs, nine RBI, four walks and seven strikeouts ... Was named the Pioneer League's top prospect following the season by Baseball America. May 23, 2017 Colorado Rockies activated SS Trevor Story from the 10-day injured list. May 19, 2017 Colorado Rockies sent SS Trevor Story on a rehab assignment to Albuquerque Isotopes. May 11, 2017 Colorado Rockies placed SS Trevor Story on the 10-day disabled list retroactive to May 10, 2017. Left shoulder strain. October 3, 2016 Colorado Rockies activated SS Trevor Story from the 15-day disabled list. August 2, 2016 Colorado Rockies placed SS Trevor Story on the 15-day disabled list retroactive to July 31, 2016. Torn ligament in his left thumb. November 20, 2015 Colorado Rockies selected the contract of SS Trevor Story from Albuquerque Isotopes. June 30, 2015 SS Trevor Story assigned to Albuquerque Isotopes from New Britain Rock Cats. February 10, 2015 Colorado Rockies invited non-roster SS Trevor Story to spring training. June 26, 2014 Trevor Story assigned to Tulsa Drillers from Modesto Nuts. June 19, 2014 Modesto Nuts activated SS Trevor Story from the 7-day disabled list. June 13, 2014 Modesto Nuts sent SS Trevor Story on a rehab assignment to Tri-City Dust Devils. March 13, 2014 SS Trevor Story assigned to Colorado Rockies. April 4, 2013 SS Trevor Story assigned to Modesto Nuts. March 30, 2013 SS Trevor Story assigned to Modesto Nuts from Asheville Tourists. July 10, 2011 SS Trevor Story assigned to Casper Ghosts from Colorado Rockies. July 9, 2011 Colorado Rockies signed SS Trevor Story.